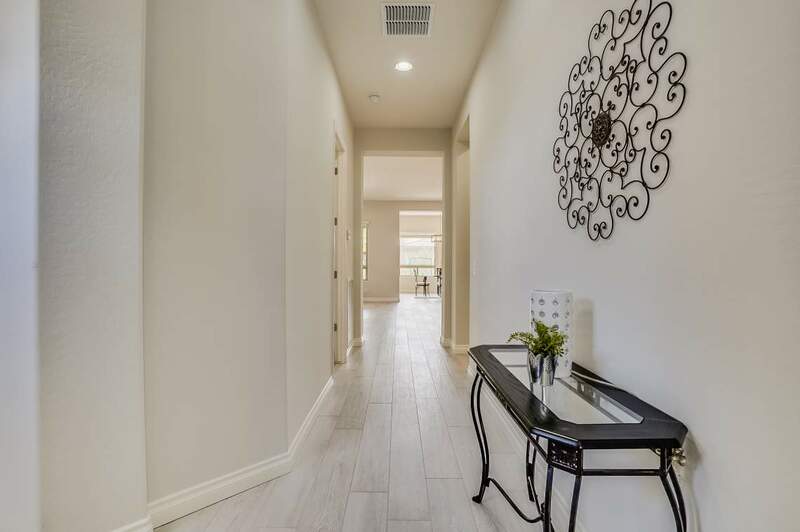 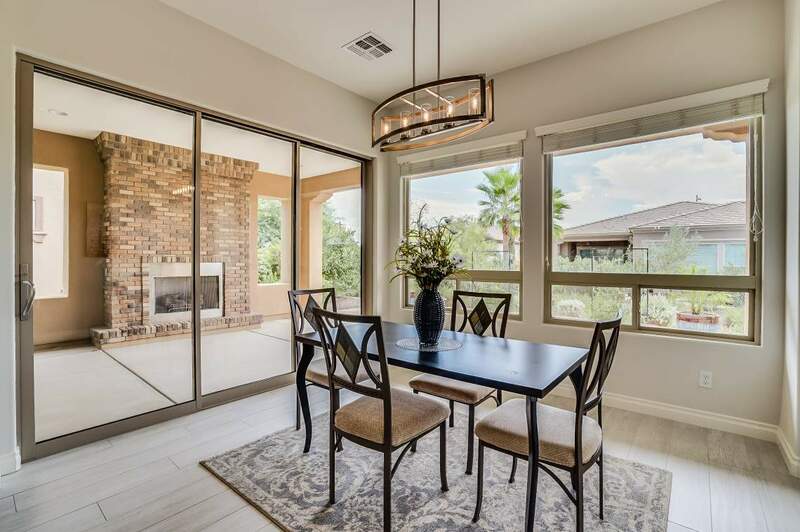 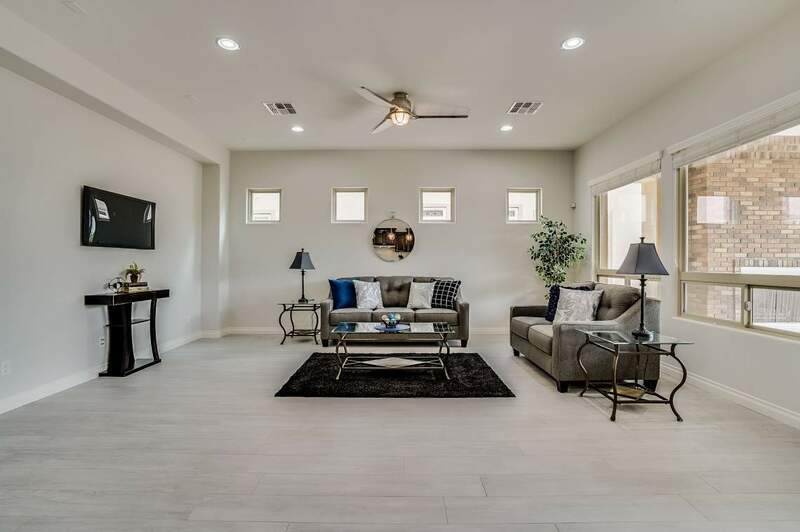 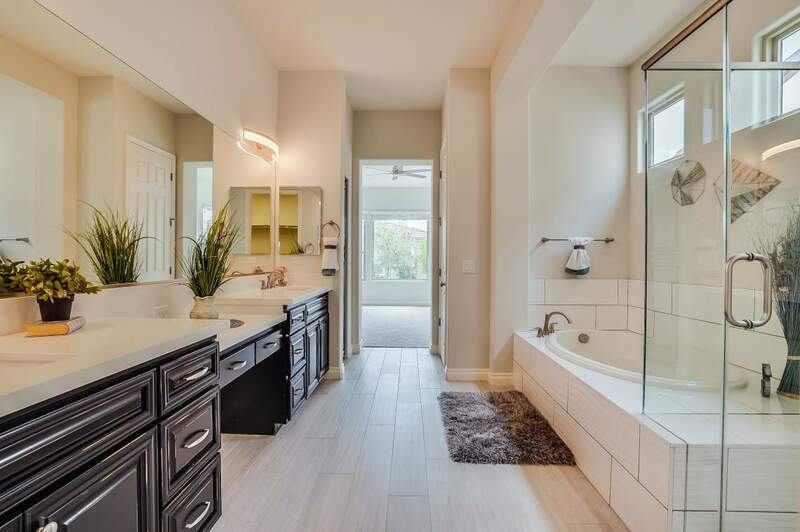 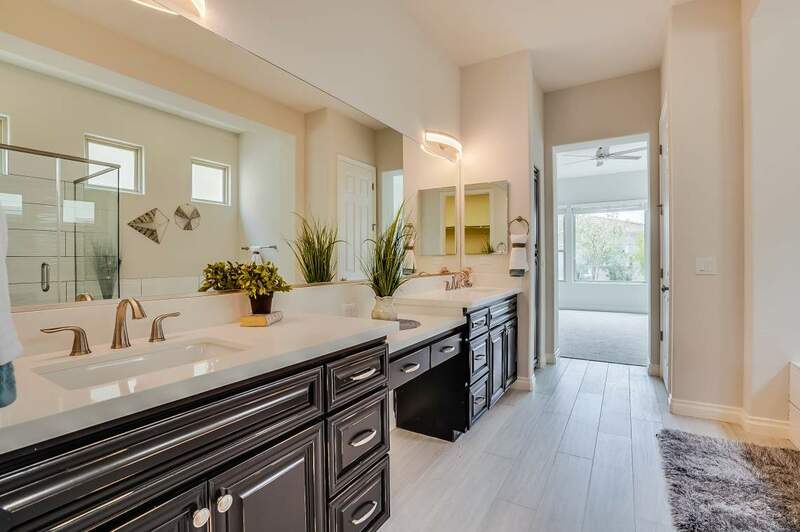 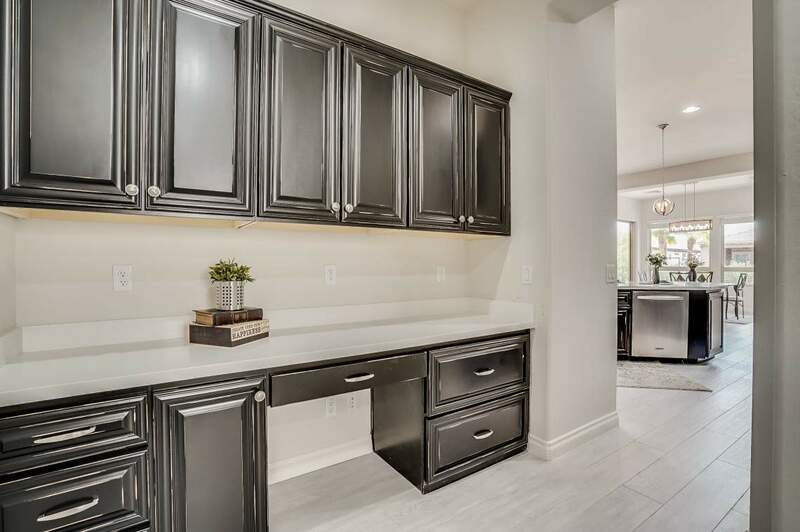 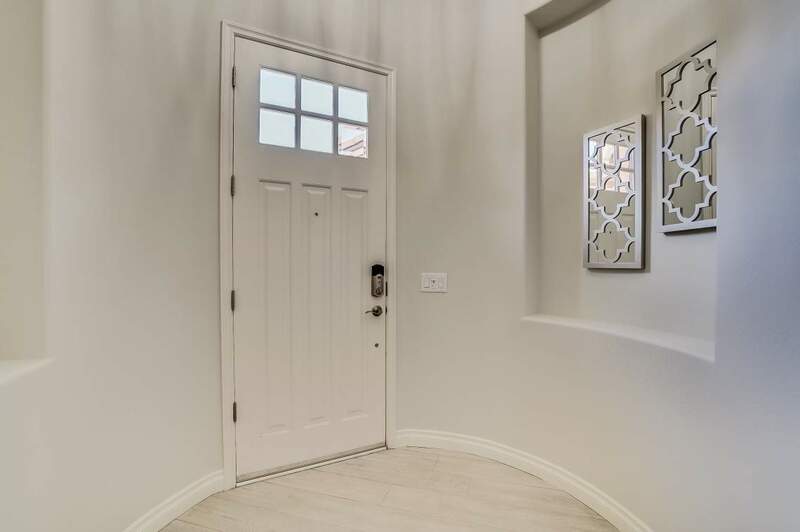 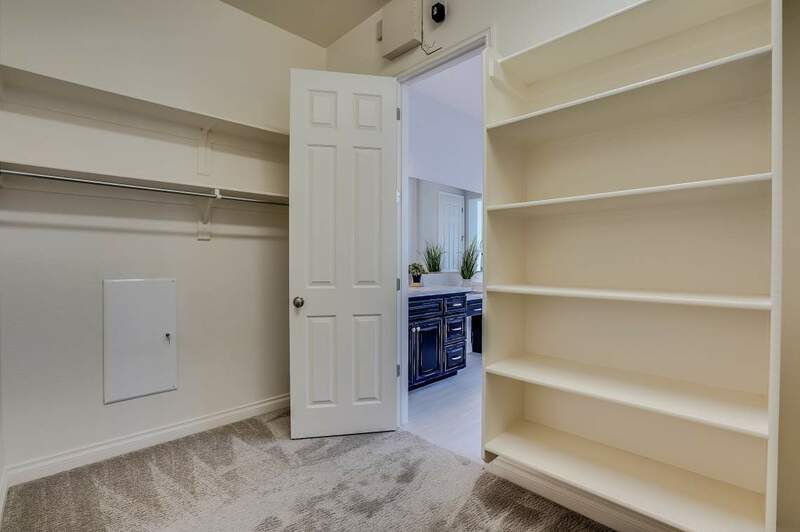 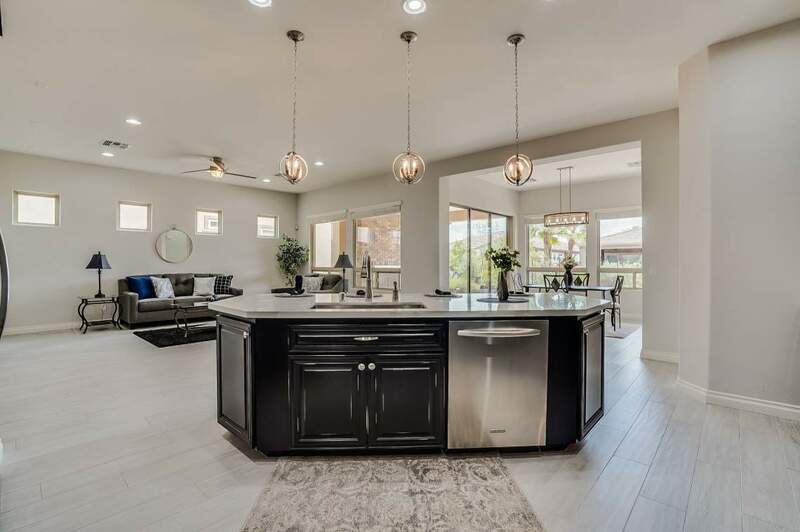 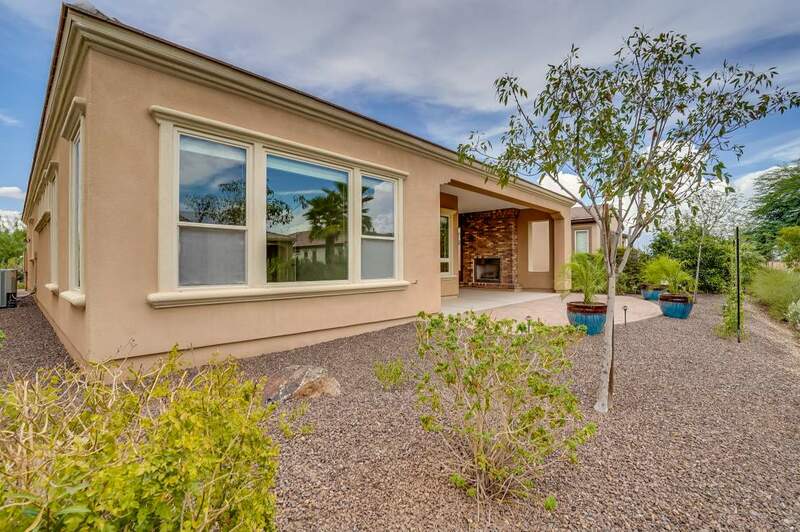 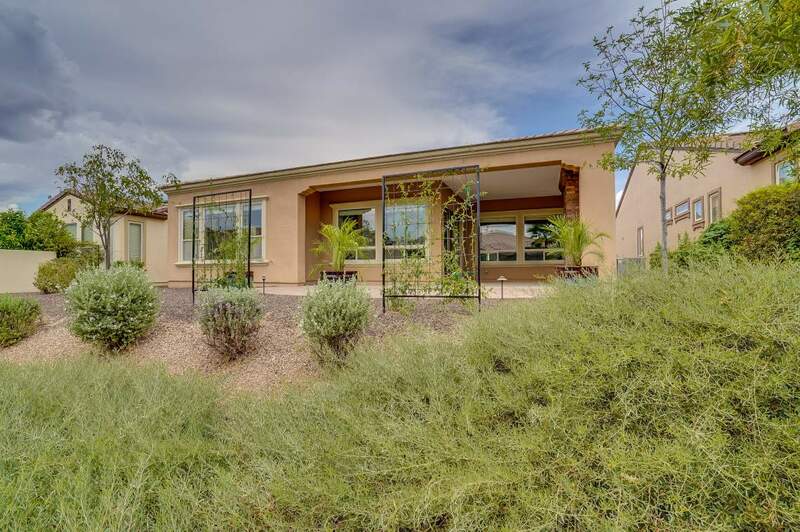 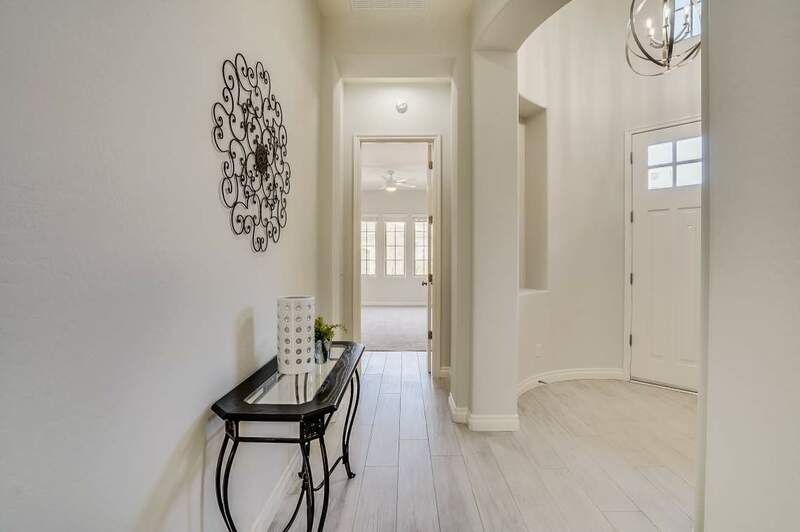 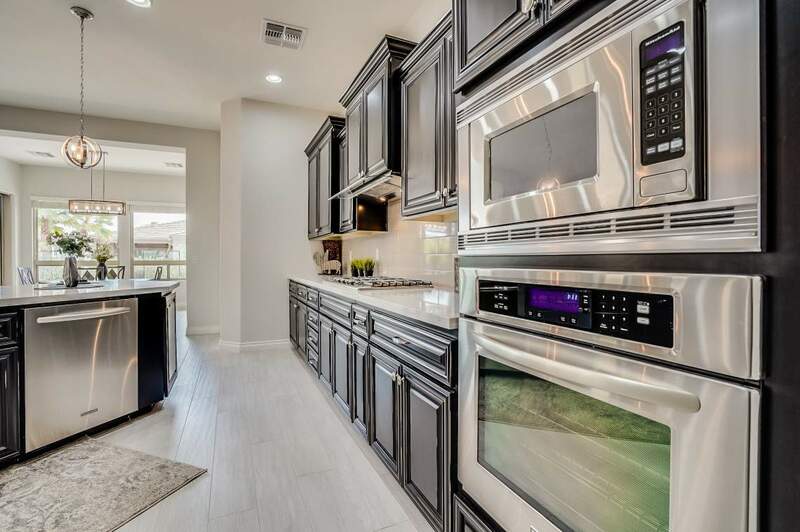 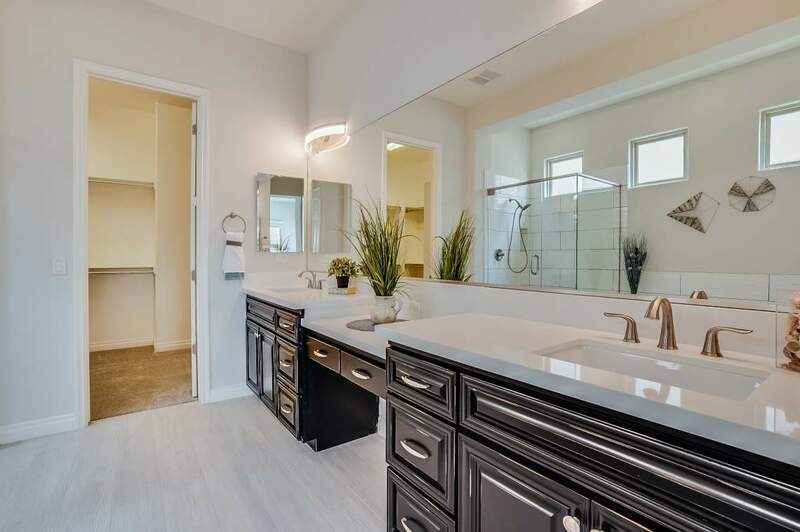 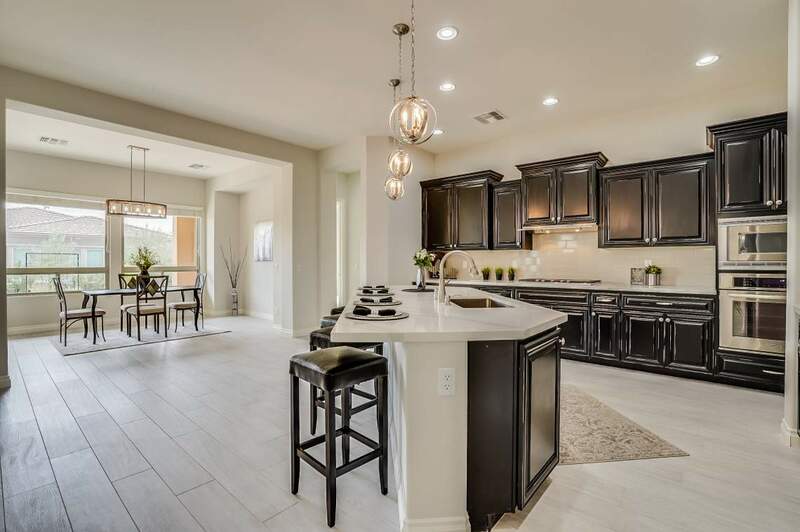 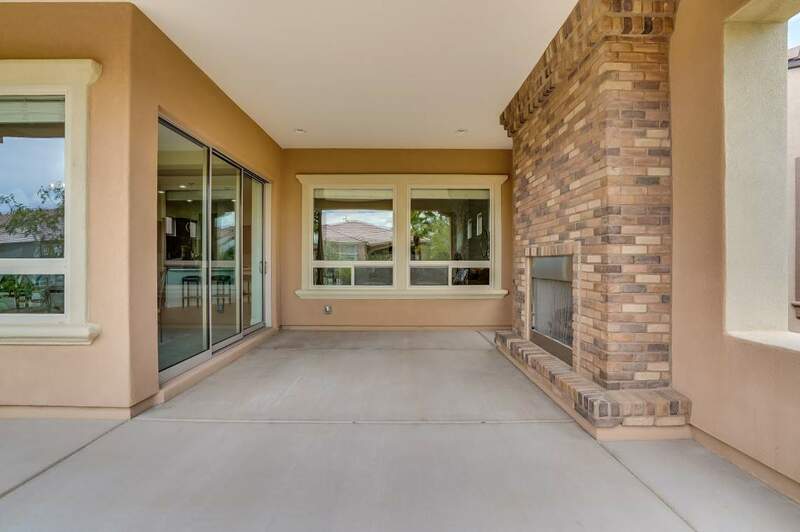 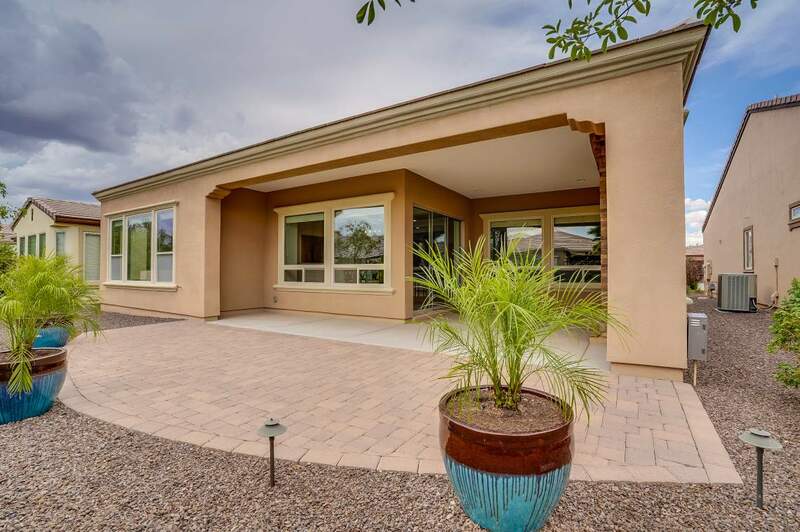 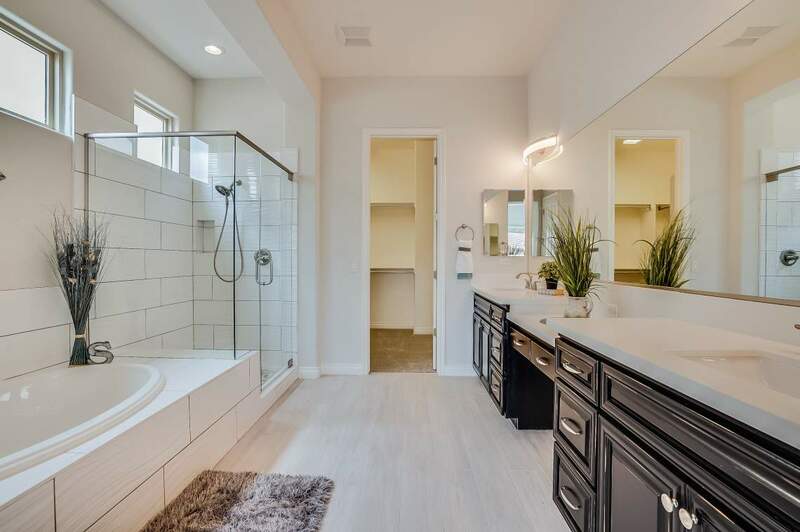 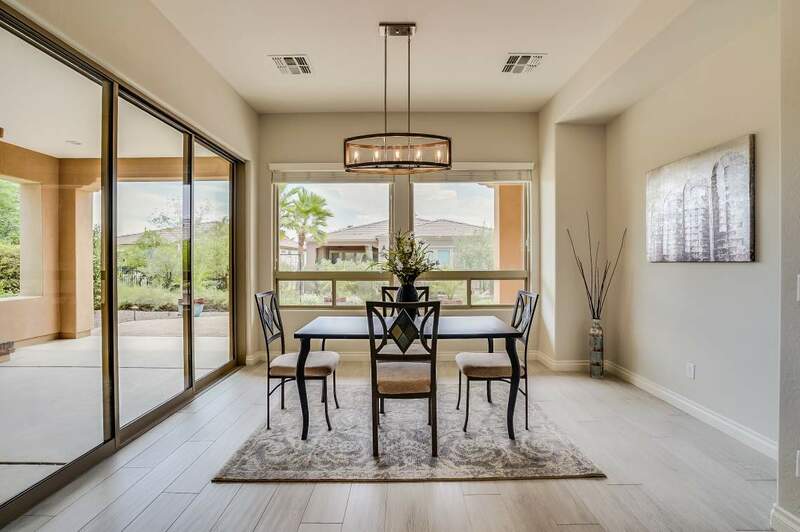 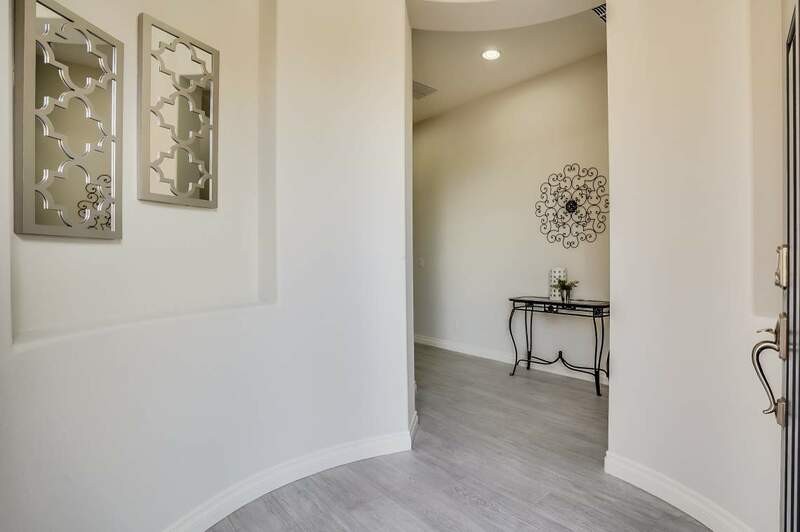 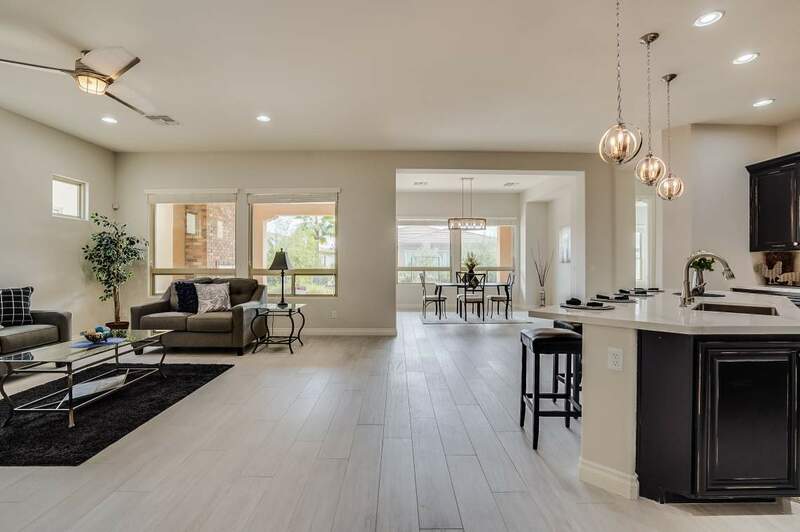 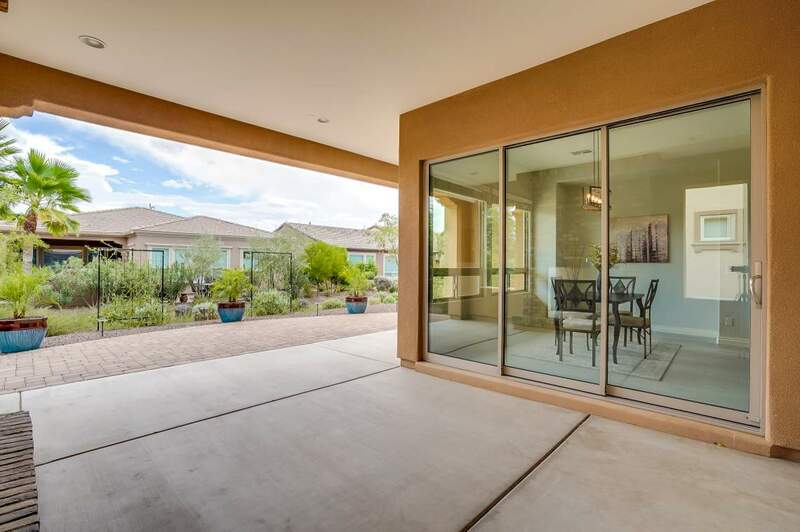 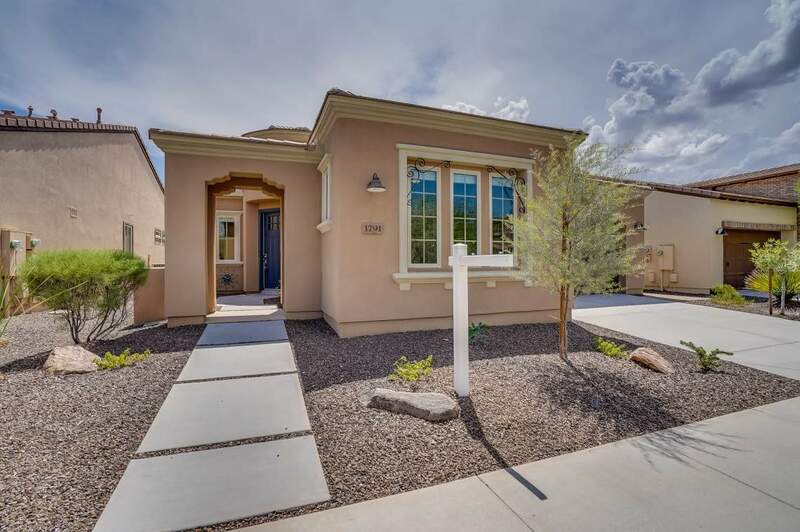 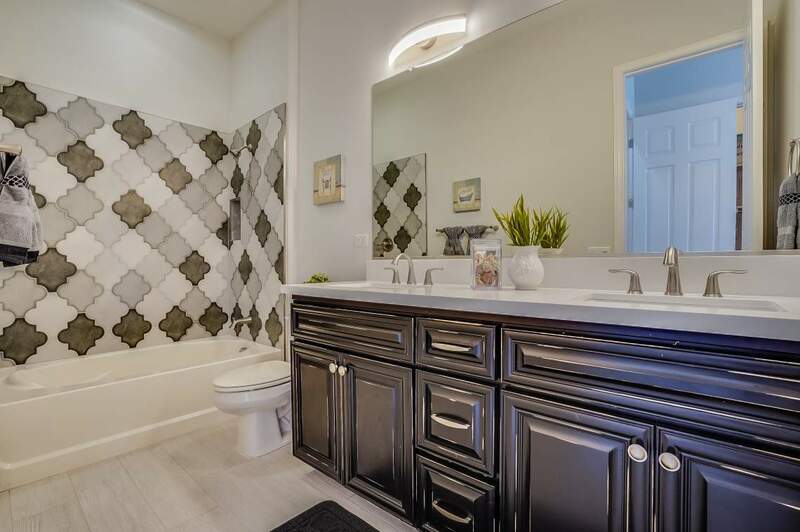 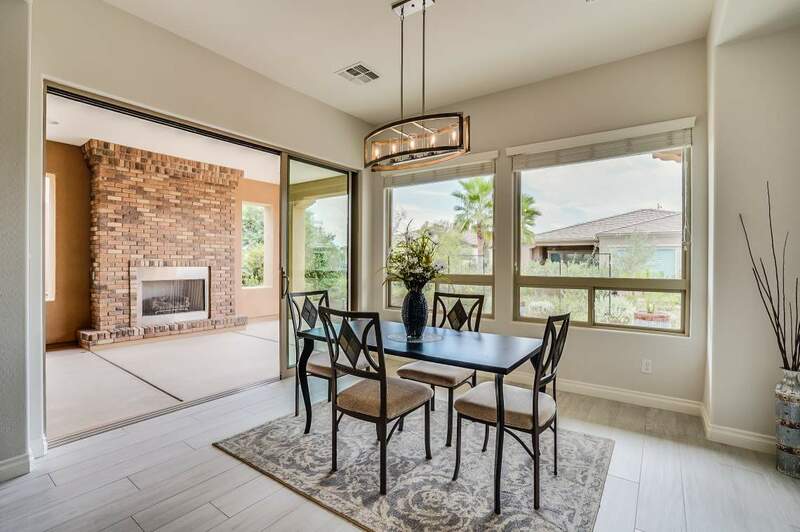 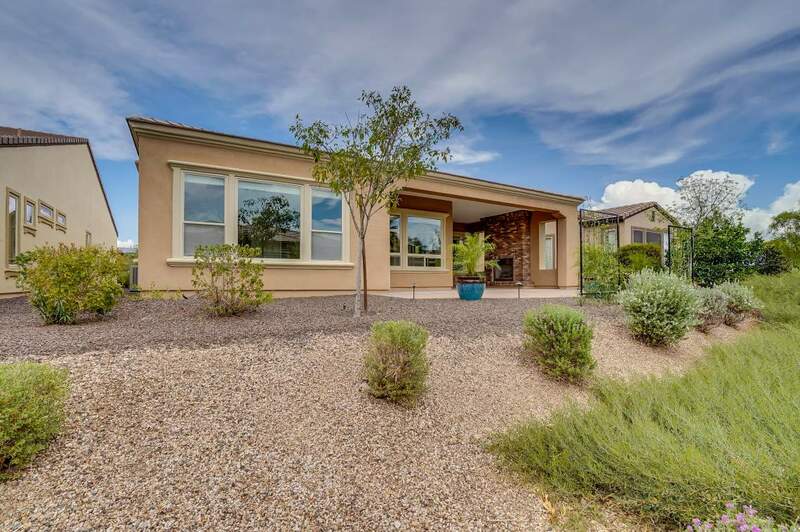 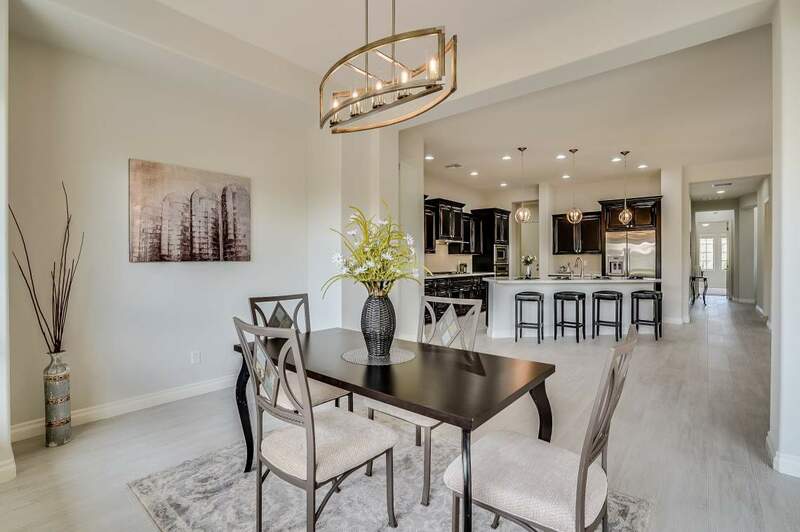 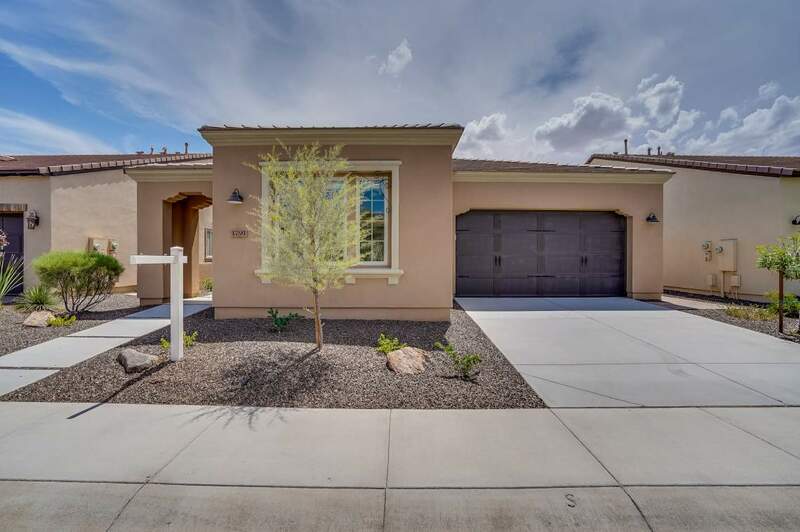 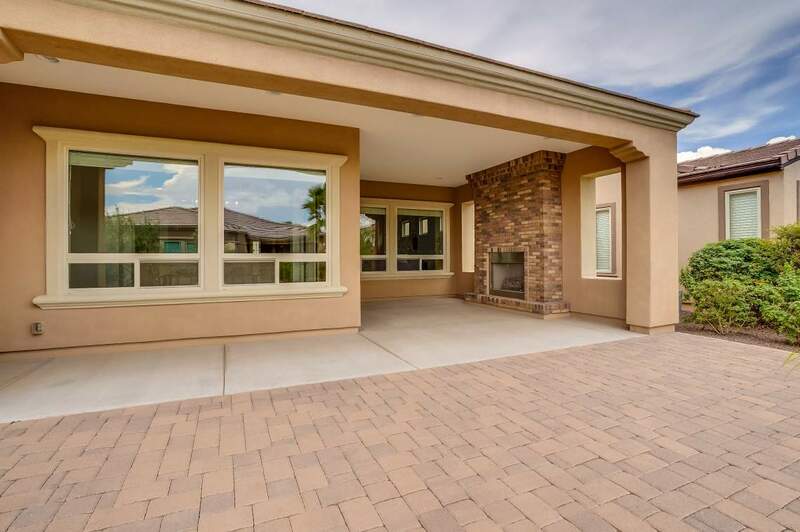 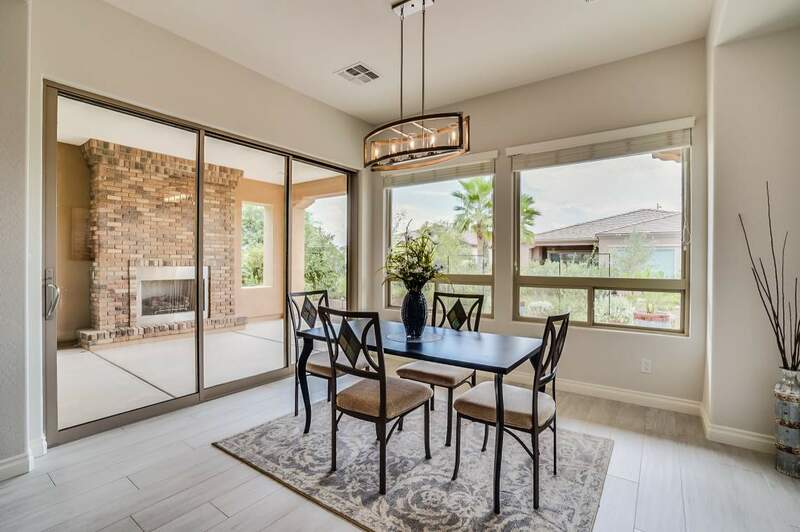 Begin living your good life in this fabulous remodeled home is situated in the beautiful golf community of Encanterra® Country Club and is a must see! 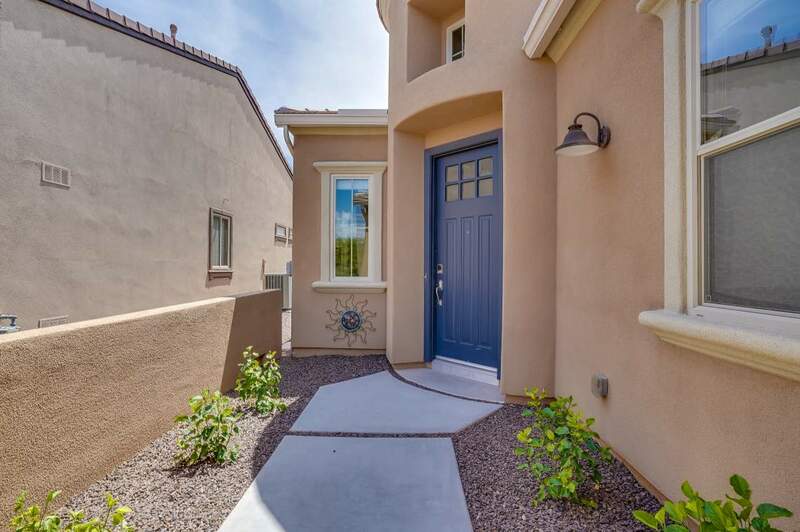 Offering 3 bedrooms, 2.5 bathrooms plus den on a premium home site. 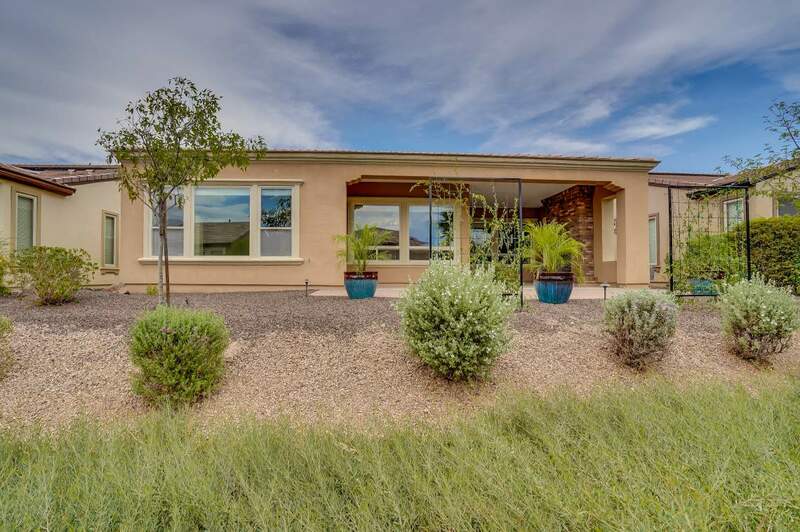 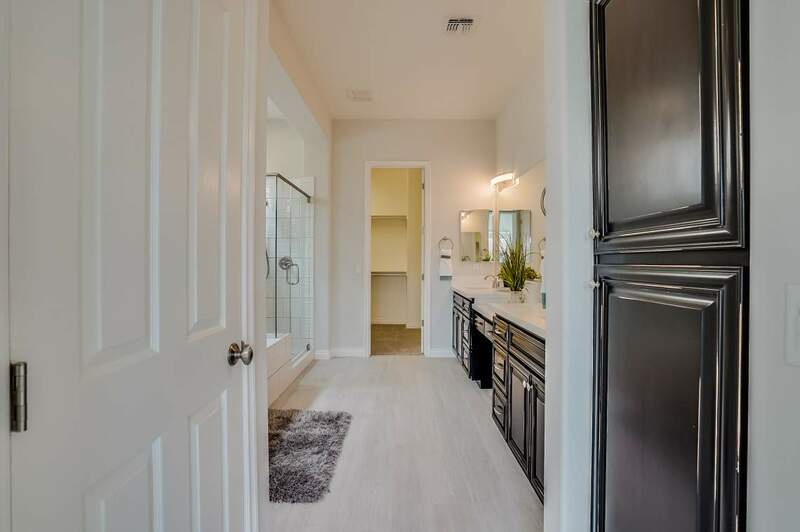 Completely remodeled from head to toe and is absolutely beautiful! 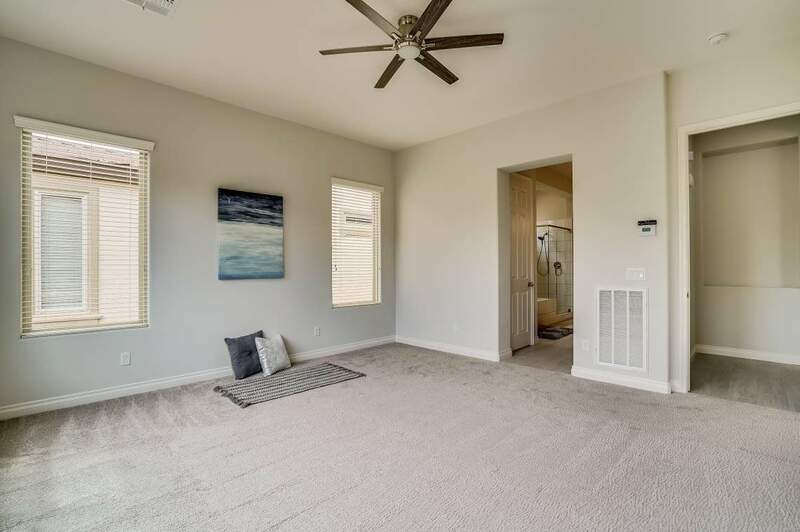 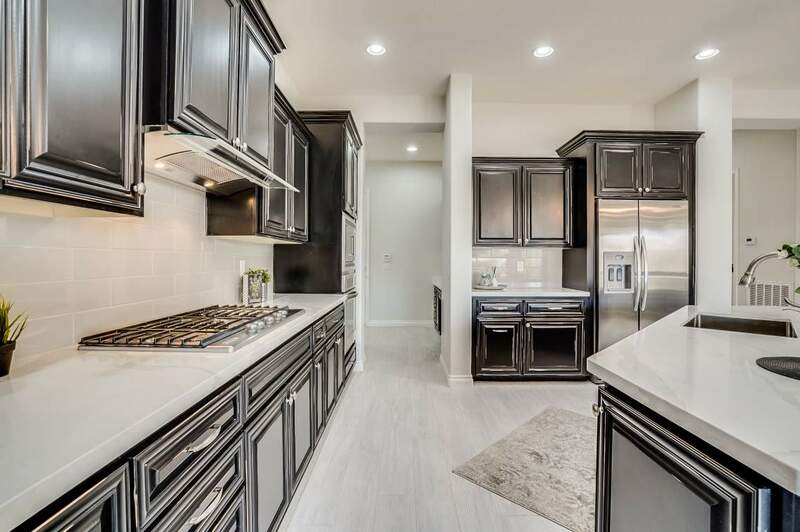 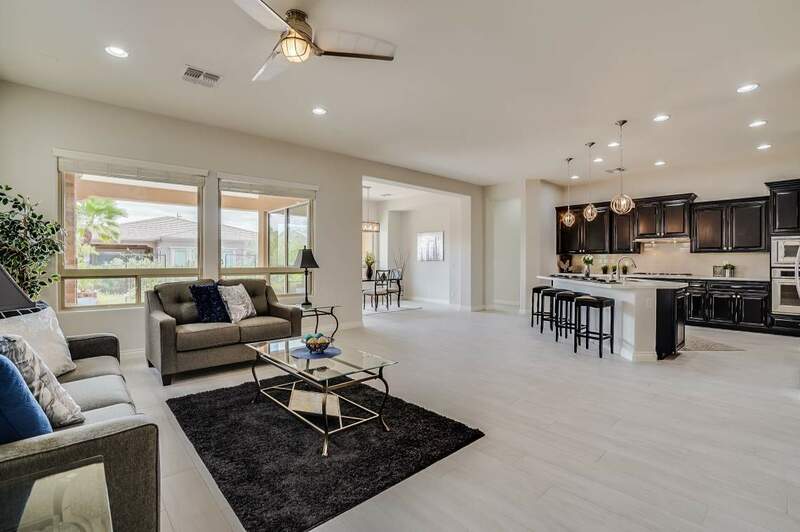 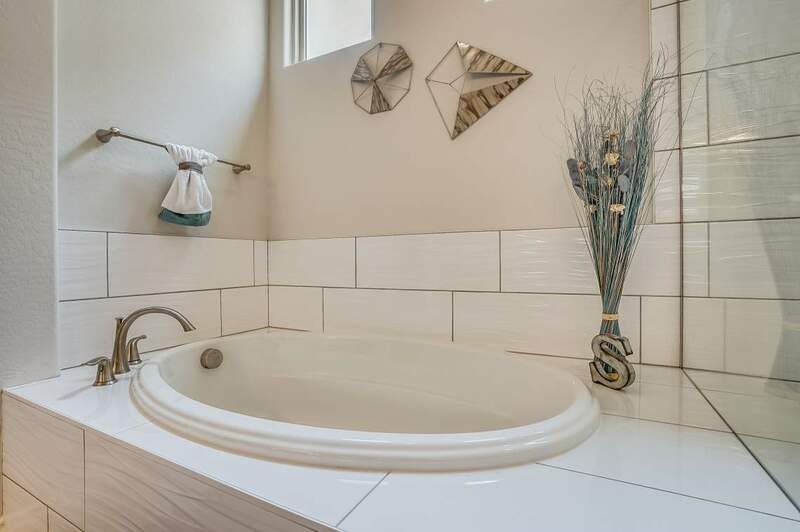 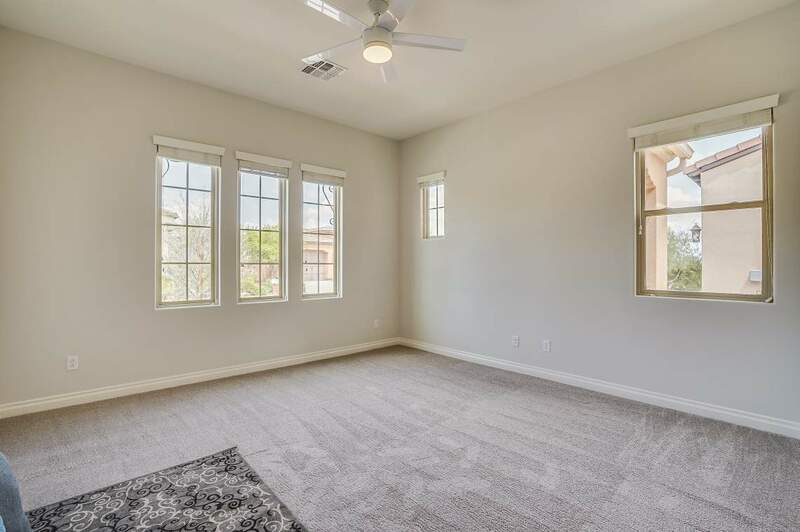 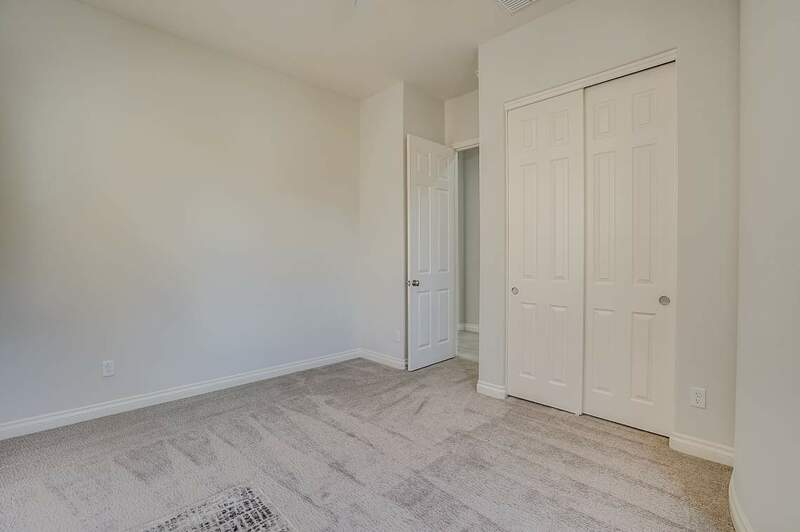 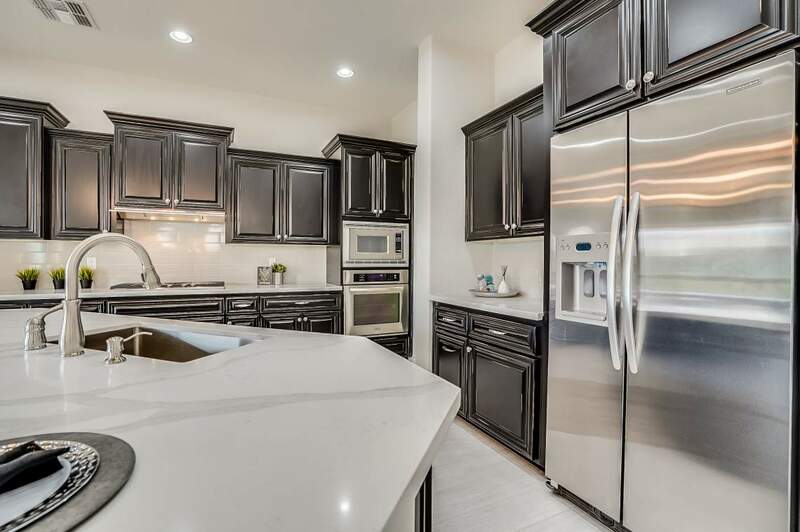 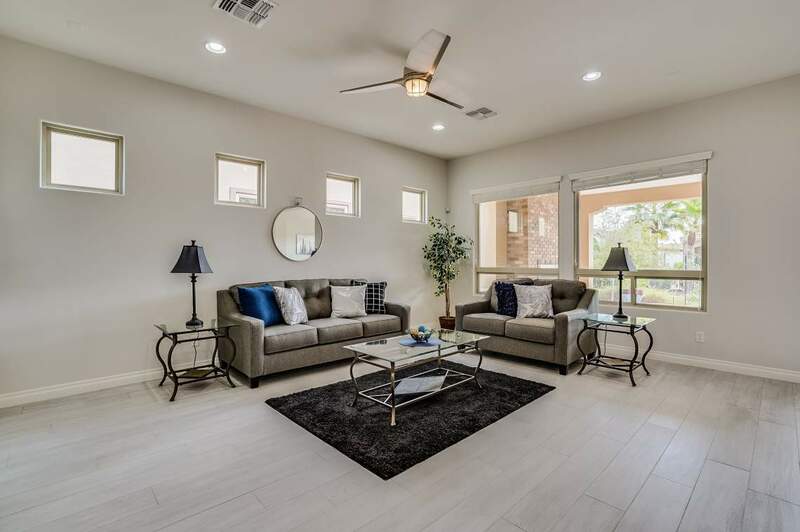 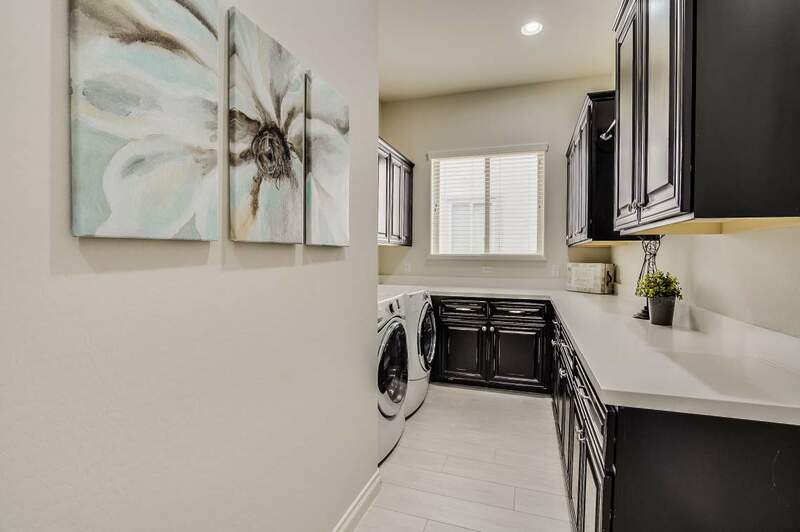 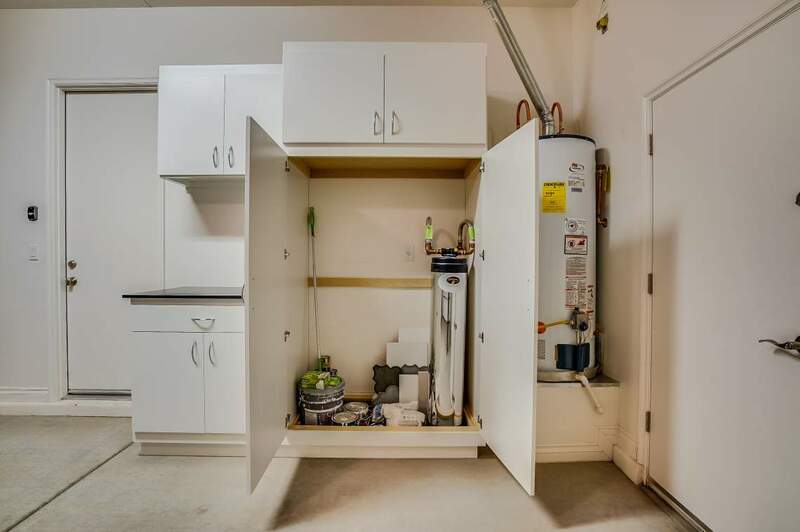 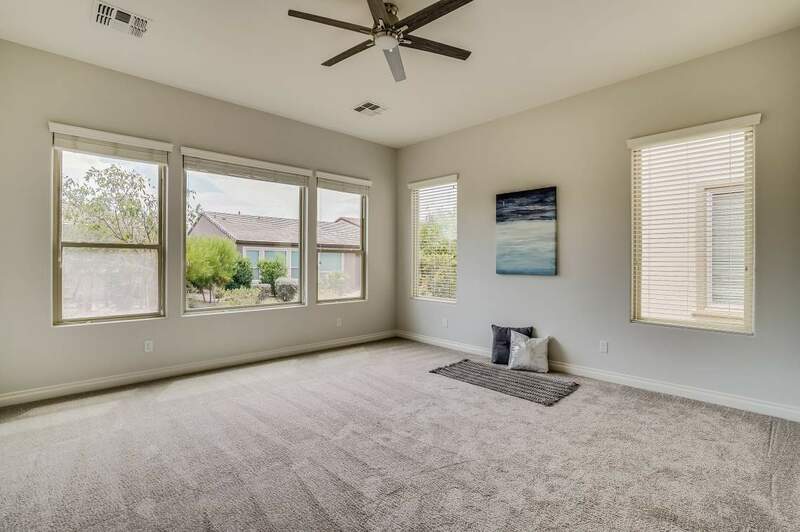 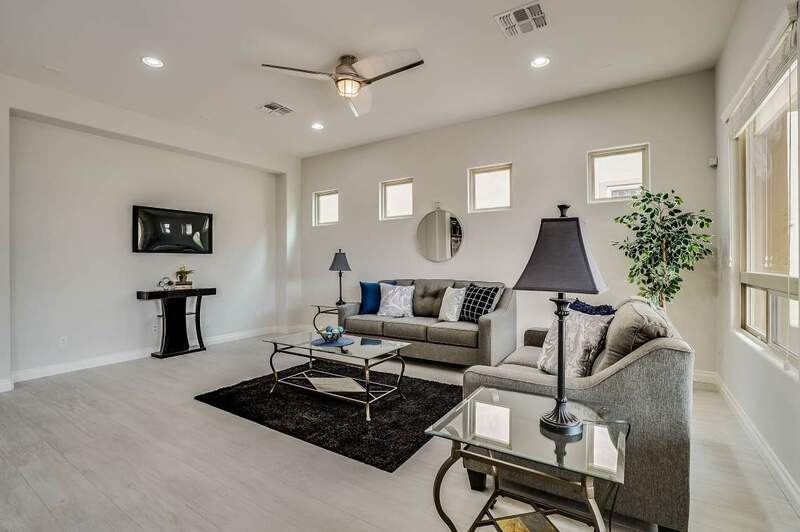 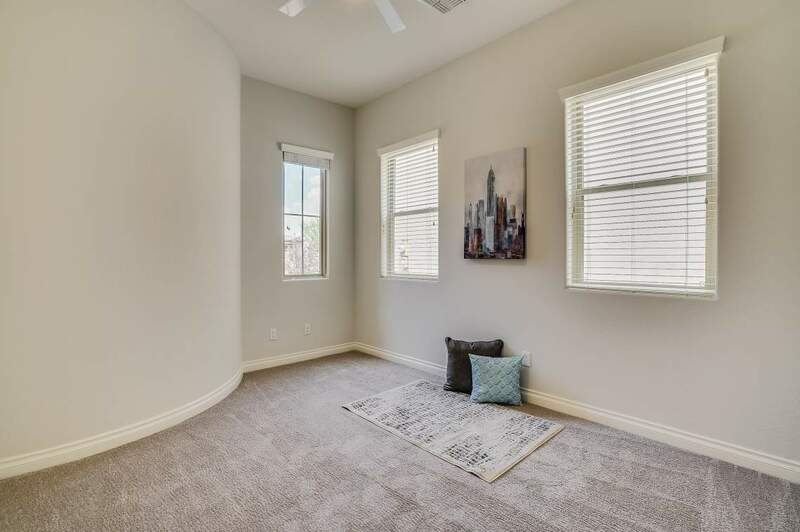 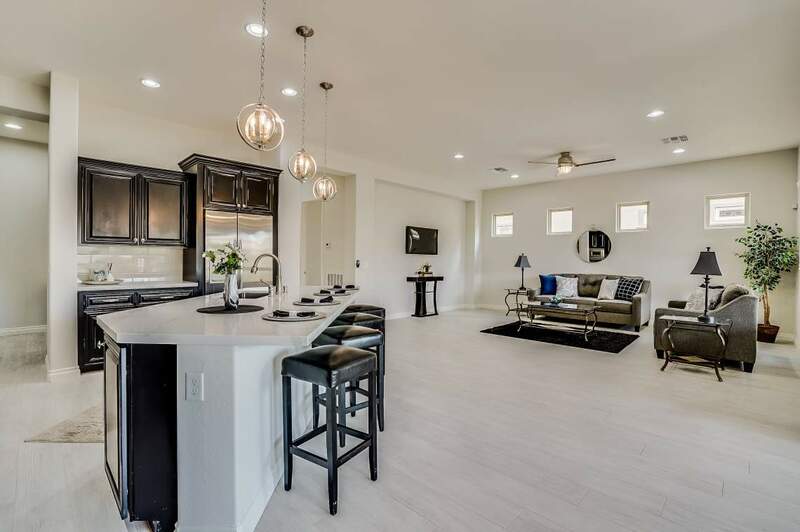 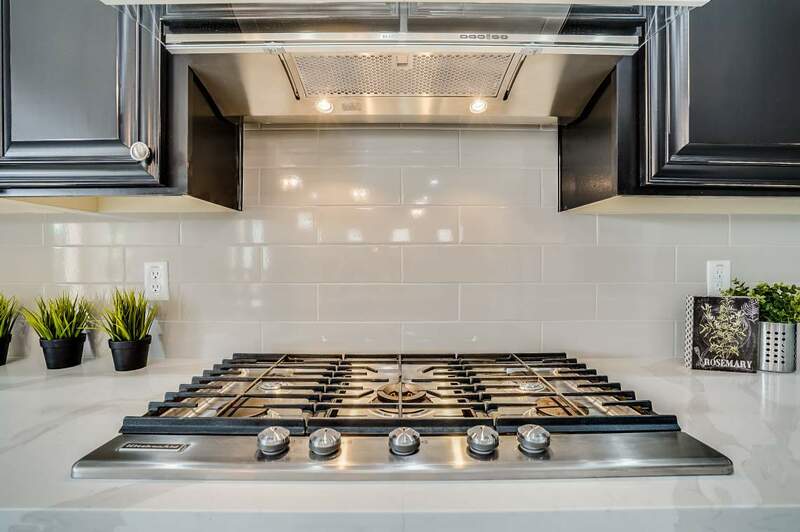 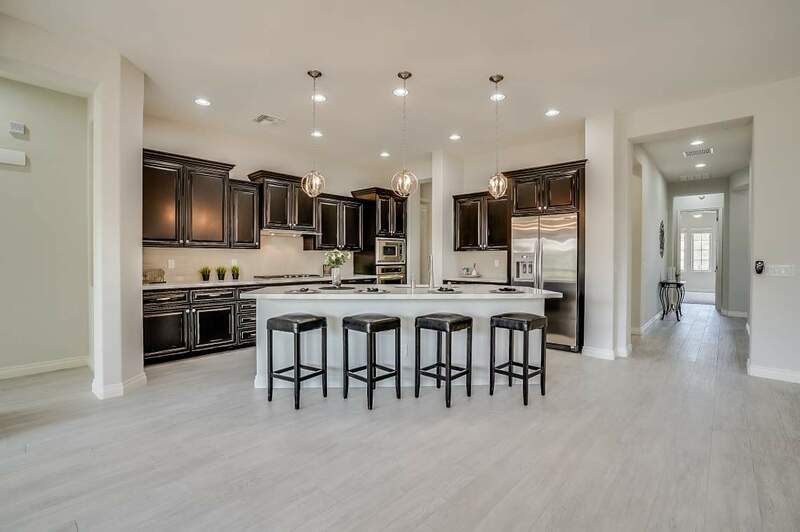 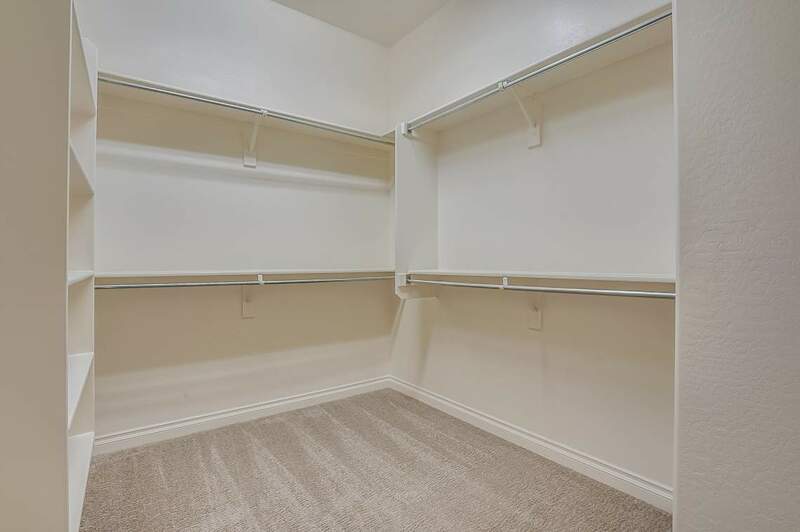 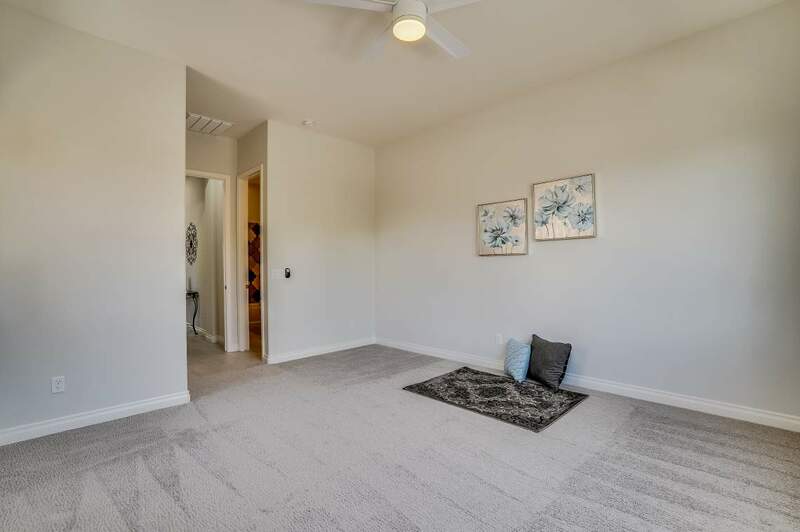 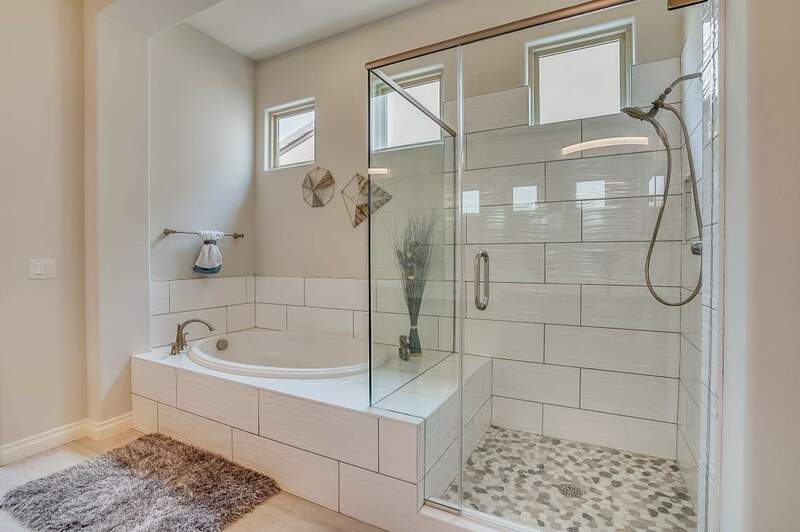 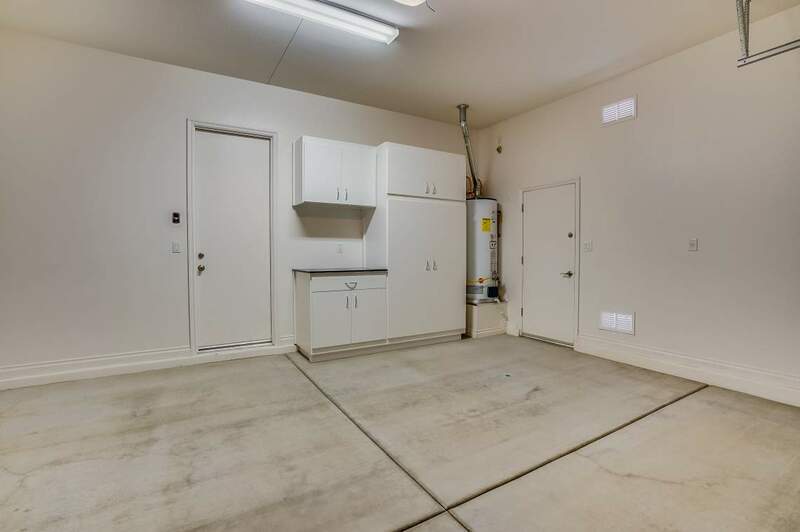 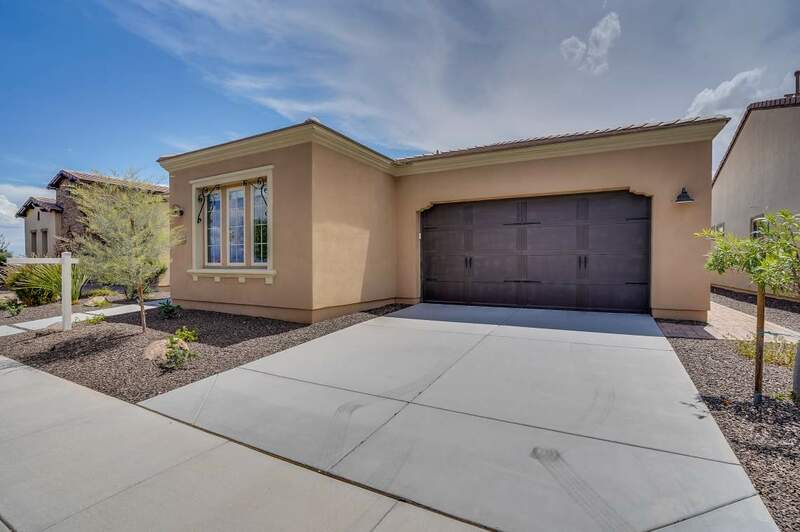 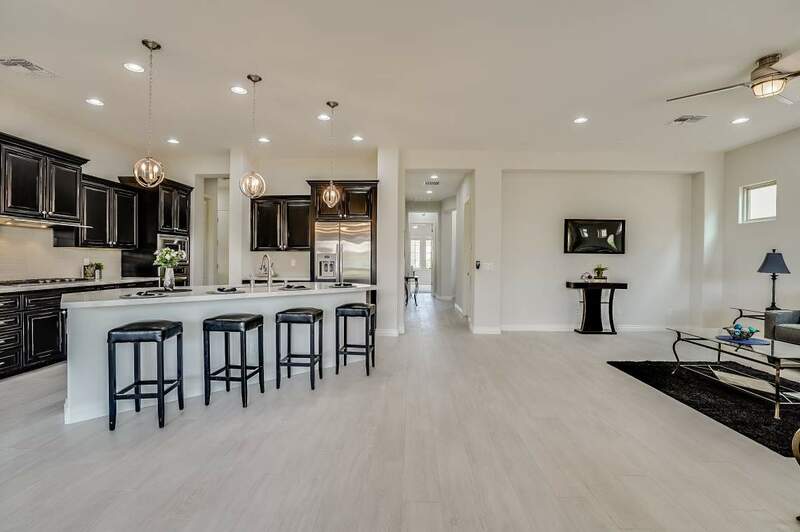 This home has so much to offer including all of the hallmark appointments you would expect including the completely remodeled kitchen with white quartz countertops, stainless steel appliances, gas range and newly installed grey tile wood plank flooring. 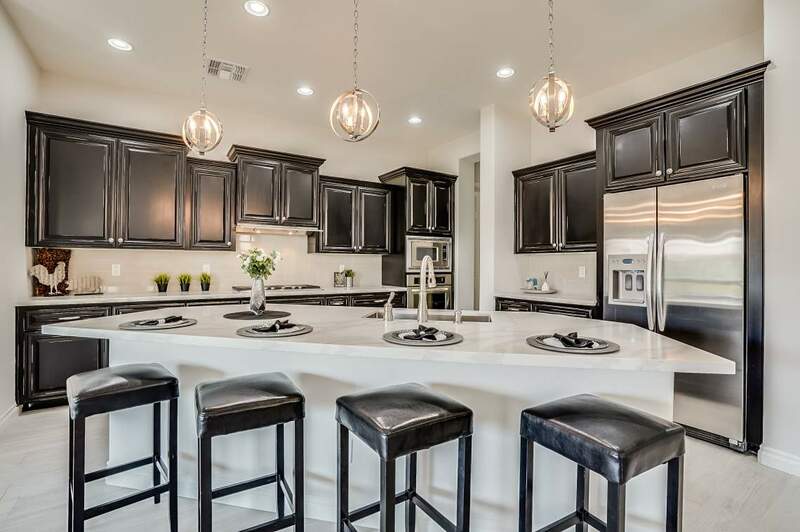 New fixtures and lighting throughout make this home a complete “wow factor”! 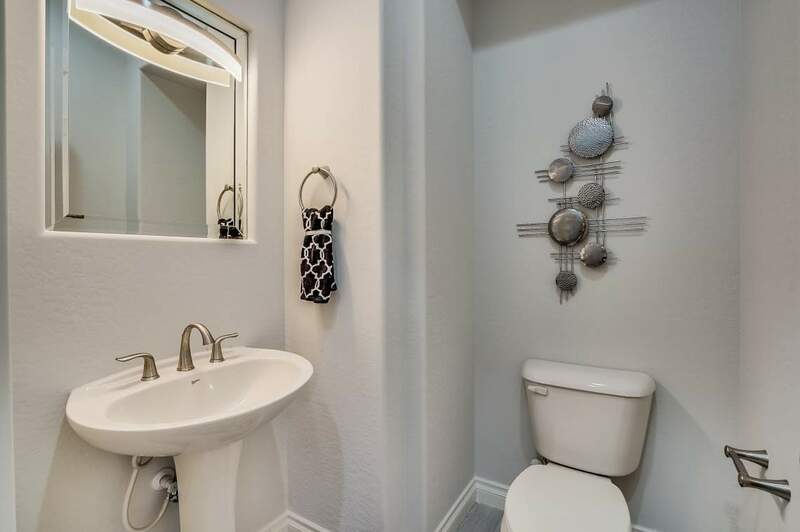 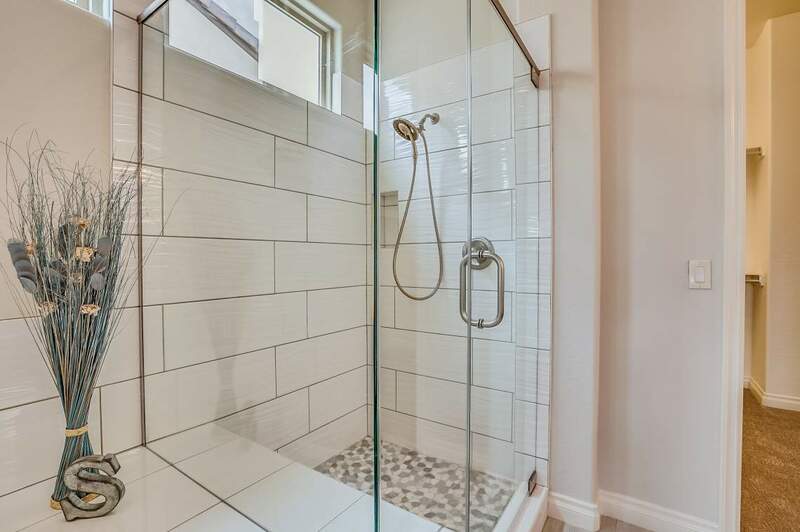 Both bathrooms have been completely redone with white quartz counters and contemporary white and grey tile work. 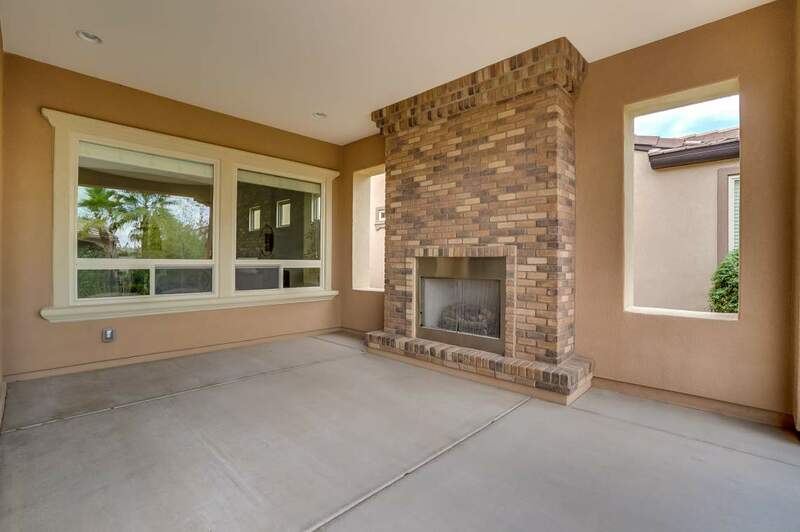 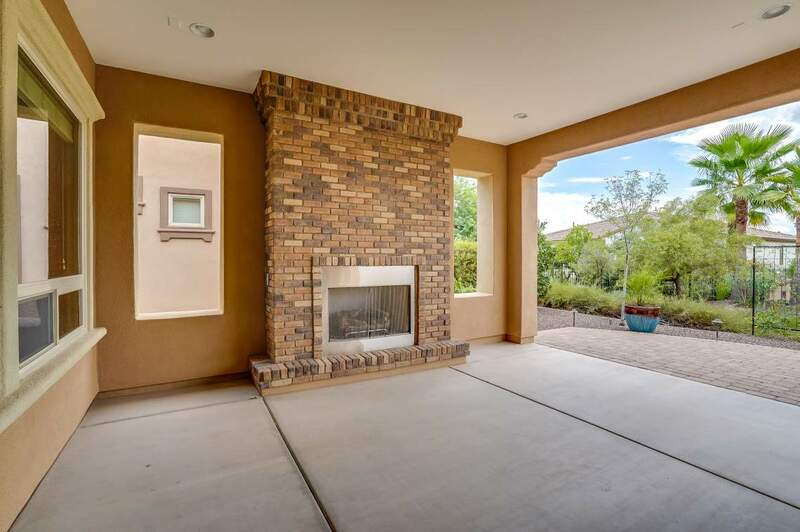 Step out back through the rolling wall of glass and enjoy the private gas fireplace. 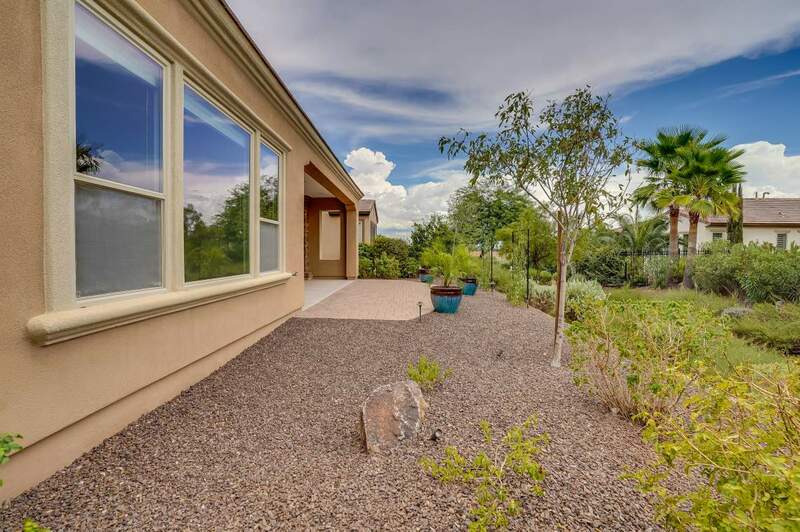 We know you can’t wait to start living the Encanterra® lifestyle today! 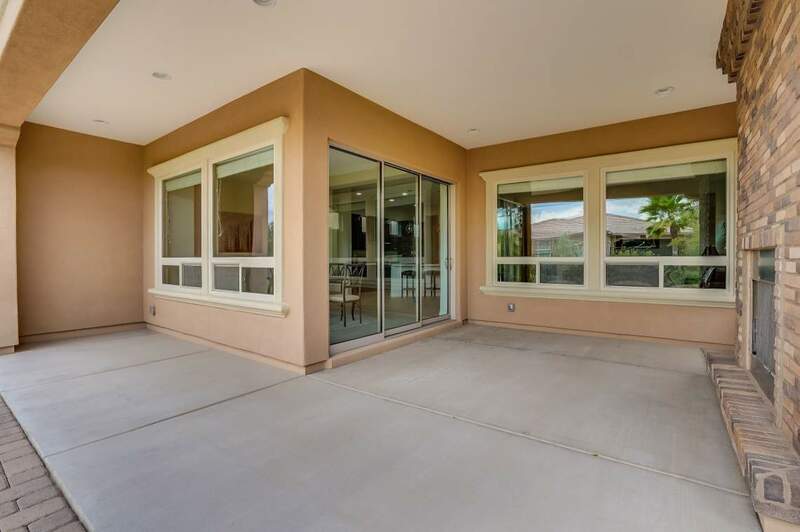 Enjoy the private Tom Lehman designed championship golf course & the beautiful 60,000 sq. 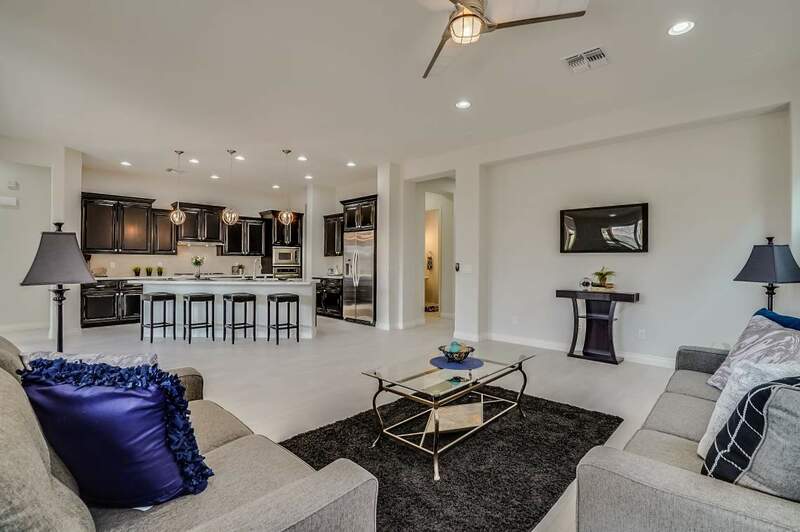 ft. Club, La Casa, w/ the latest in dining, fitness, tennis, relaxation, complete w/ 3 pools, an expansive athletic club, & full-service spa. 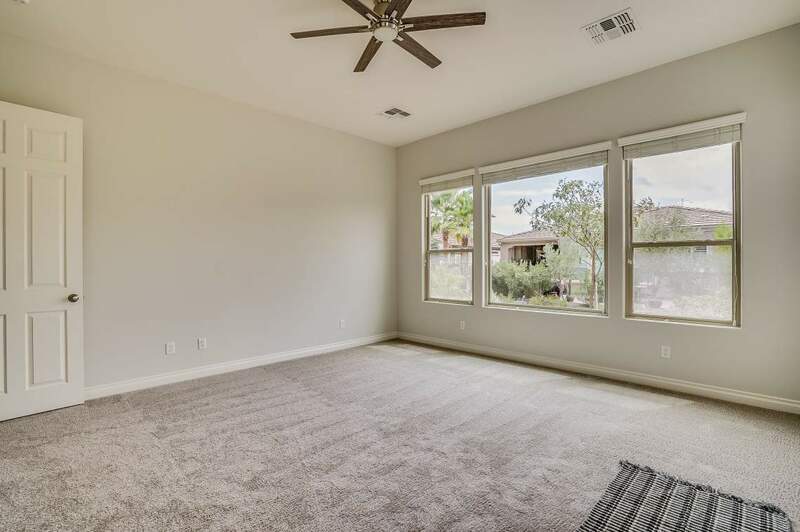 "You make a great team. 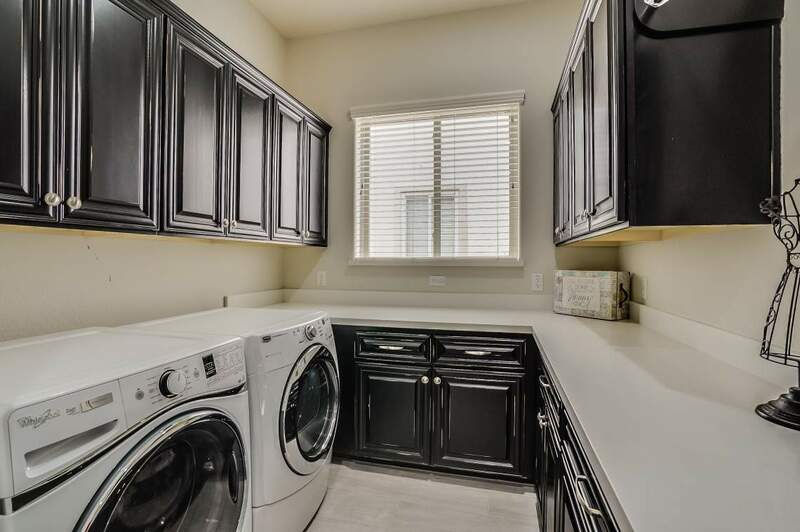 We’re now looking forward to enjoying you as neighbors. 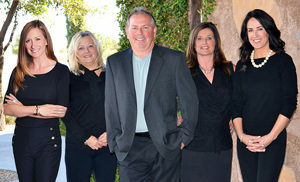 You obviously love what you do.Greg & Sharon B." 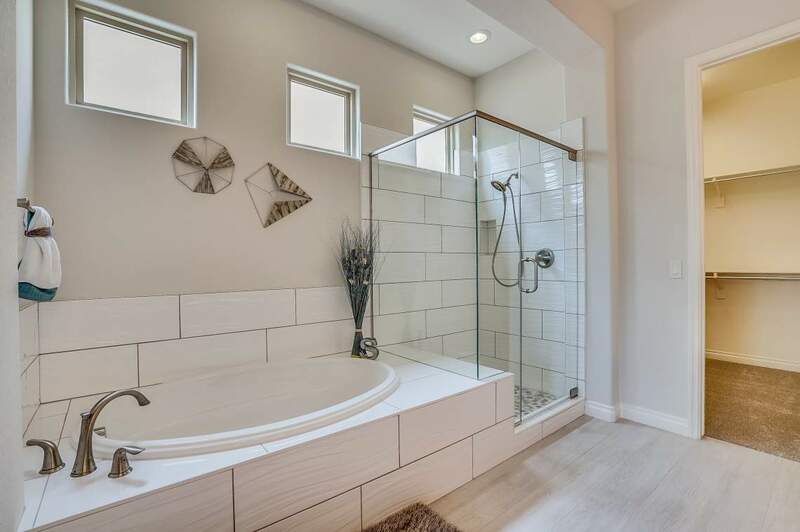 - Greg & Sharon B.